Dolomites panorama, hearty hospitality & activities of any kind at the foot of Seiser Alm! 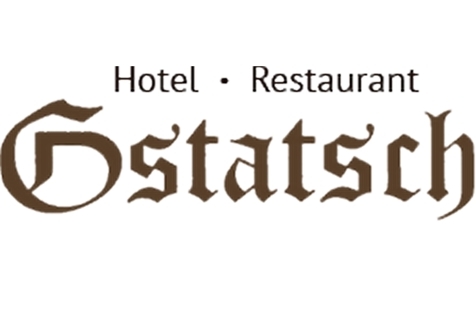 Welcome to Hotel Gstatsch*** in Kastelruth on Seiser Alm! 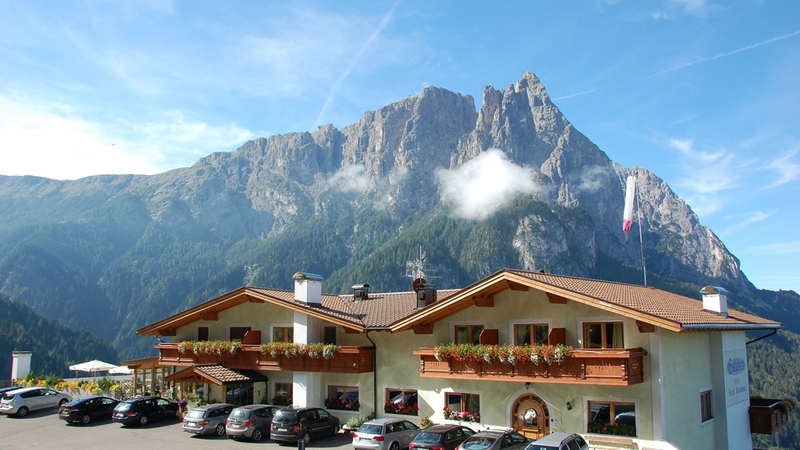 Our family conduceted Hotel Gstatsch*** in Kastelruth is situated in a particularly beautiful and quiet panoramic position, on the direct way to Seiser Alm. In this unique natural landscape in the Dolomites, you may expect warm hospitality and a cosy atmosphere. The spacious and bright rooms are equipped in a modern way and offer, besides a wonderful panorama, any comfort for a winter or summer holiday in the Dolomites. Our spa area with panoramic and heated in-door swimming pool, whirlpool, Finnish sauna, steam bath and infrared cabin lets you experience ease and relax. Our small but well-equipped gym guarantees you training possibilities in all kind of weather. Start your holiday completely relaxed with our variegated breakfast buffet. If the weather is beautiful, you may enjoy it on our sunny terrace and on Sundays, you can make it perfect with a glass of Prosecco. In the evening, we indulge you with menus of four or five courses and suitable wines. Once a week, we prepare a dessert buffet, a Tyrolean evening and an evening with barbecue specialities. The holiday region Seiser Alm is a famous destination all over the year. In summer, you may expect extraordinary hikes and mountain bike tours in front of a beautiful setting. In winter, the largest alpine meadow in Europe becomes a paradise for winter sports with family-friendly slopes, cross-country ski runs, snowshoeing tours and sledge runs. Especially brave guests may experience the Seiser Alm from a new perspective by paragliding. Host Michael accompanies you personally on a tandem fly. The amenities: Non-smoking room, Shower built in 2008 , WC, hairdryer, SAT-TV (Astra Hotbird), telephone, safe, small sitting area, partly with a balcony facing north or on the ground floor sud, partly with Internet connection. The amenities: Non-smoking room, built in 2008, separate bedroom, shower, WC, bidet, hairdryer, Flat screen SAT-TV (Astra Hotbird), telephone, safe, sitting area, minibar, Balcony or terrace facing north, partly with Internet connection. The amenities: Non-smoking room, built in 2008 and also available as multi-bed room, shower, WC, bidet, hairdryer, Flat screen SAT-TV (Astra Hotbird), telephone, safe, sitting area, minibar, balcony, 2 of these rooms are barrier-free, Internet connection. The amenities: Non-smoking room, Shower or bath tub, WC, biset, hairdryer, SAT-TV (Astra Hotbird), telephone, safe, sitting area, with balcony or on the ground floor facing south. The amenities: Non-smoking room, built in 2008 and also available as multi-bed room, separate bedrooms, shower, WC, bidet, hairdryer, Flat screen SAT-TV (Astra Hotbird), telephone, safe, sitting area, minibar, balcony with beautiful panoramic view, partly with Internet connection. Home made products, Food for people with food allergies, Sunshade, Deckchair, Multilingual receptionists by day, Pets allowed, Snow boot dryer, Room service, above 1000 m a.s.l.